Last Sunday I found myself cooped up in my house because of torrential Seattle like rains and mad bad weather. The bad weather made it a perfect day to check out Frank's Chop Shop a few blocks from my apartment. For some time, I had wanted to have the Frank's experience, mainly just to say that I had gone and had a Frank chop. 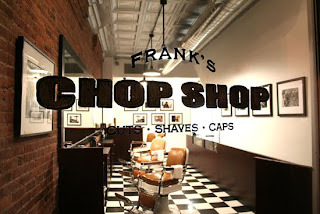 For those of you who are unfamiliar with Franks, it is an old school barbershop that spawned from Mike and Stephen Malbon's Frank 151 magazine. The magazine is published quarterly and each issue revolves around a specific theme that shines light on talented underground artists ranging DJs and Emcees to singers, fashion designers and photographers. Anyways Franks has your classic barbershop feel from the checked floor to the chairs from the 1930's. I was pretty stoked when they fit me in for my last minute Sunday cut. The spot is pretty cool, an intimate selection of fitteds are available for purchase from the shop which seemed kind of ironic to me that you would go get a cut and then cover my fresh chop from the public. The selection is limited to a select few New Era x Frank fitteds. They often feature an iconic "F" and a Benjamin Franklin quote on the underbrim. Anyways the spot had a great atmosphere, incredibly friendly staff, some hilarious story telling which resulted in a bad haircut haha. At least now I can say that I experienced the Frank Chop - so what my haircut isn't symmetrical. sparks fly in his face. 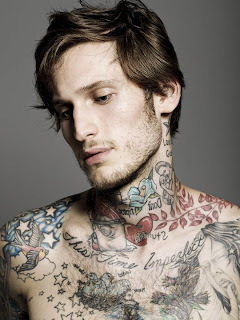 And for future reference this is what I wish my cut had looked like.